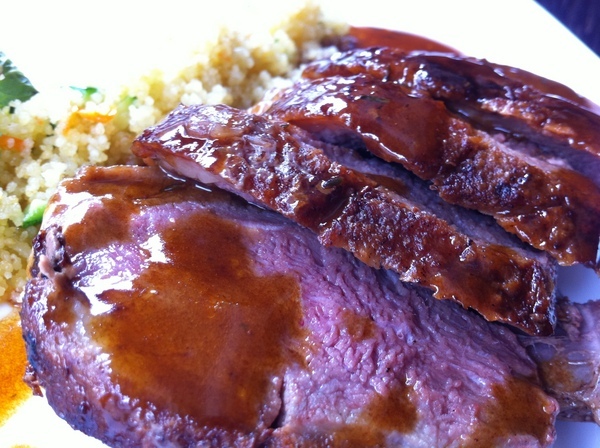 Muscovy Duck tastes like a veal duck, or a duck veal, or perhaps it tastes like Muscovy Duck. 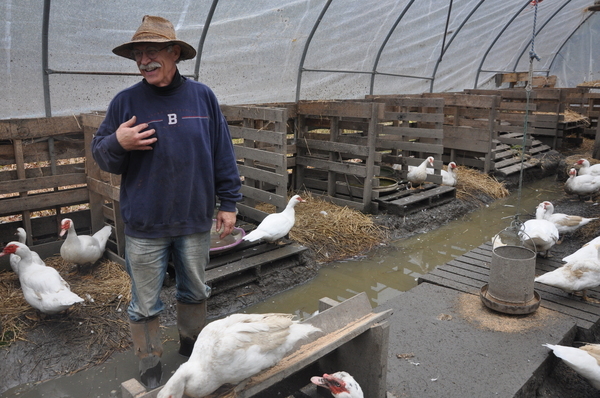 David Beemer, of OmniUnum Farm, decided he wanted more control over his food supply. In lieu of purchasing Michigan peat and compost, Beemer decided to raise poultry for their manure, a nutrient-rich and accessible fertilizer. Endemic in an animal designed to perch in trees not wade in water, Muscovy ducks have about 18% fat as opposed to Pekin duck with 29% fat. This fat difference and the less significant oil gland in the Muscovy alters the flavor of what our taste buds recognize as “duck” and can complicate cooking Muscovy for those not familiar with the meat. Recently, I was able to try Muscovy courtesy of ici Urban Bistro in Washington DC. The consensus at the table was that the meat was “absolutely fabulous” and unlike anything anyone had eaten before – a bold, unique flavor arising from a texture that crumbled like veal, unlike poultry’s striation. This entry was posted in On the Farm and tagged Corinna Borden, duck, Muscovy Duck, Real Time Farms. Bookmark the permalink.